Working for several years in the Sign & Screen Printing business gave us the experience and confidence to start offering assorted new services from our location in Boynton Beach, Florida. We are conscious of your budget and value on time service. We work together with our customers, from the idea, through the production and final project installation or delivery. This website has samples of work we created for our valued customers. 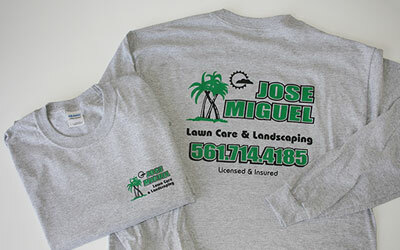 Let us show you what we can do to make your business image stand out. Thank you for visiting us! Vinyl Lettering to Partial or Full Wraps, quality vehicle graphics is the most cost effective form of advertising compared with typical media. A minimum investment promoting your business 24/7. 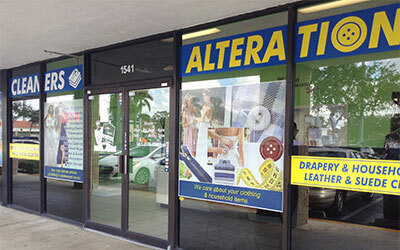 Single or full color graphics, window signage and decals grab the attention of potential customers. 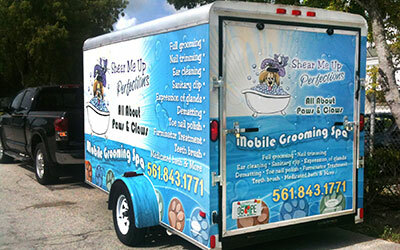 We produce any size graphics, decals or vinyl lettering. Any business, home or event can benefit with the use of graphics on bare surfaces and walls. 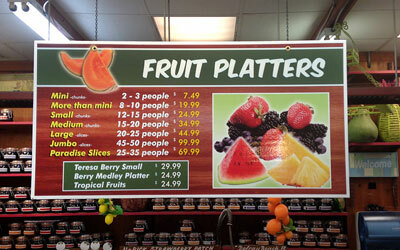 Professional signs and graphics are great sales generators. Dress professionally promoting your company name and/or services on Polo Shirts, T-Shirts, Hats, all apparel and related items with our screen printing and embroidery services. 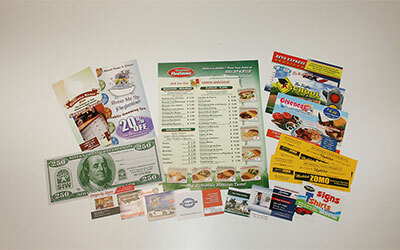 Brochures, postcards, flyers, business cards, business forms, door hangers and beyond in standard or elegant stocks and finishes. We also offer a range of promotional products. 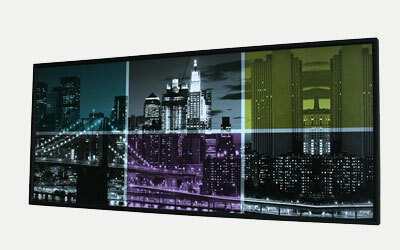 From posters to canvas or wall murals. Your special framing project for home or office is welcome. We love printing, mounting, and framing. It’s time to bring life to those walls. Looking for an Effective business idea? Your business or event image in the right hands!